One of the latest mobile phones created by O+, made in the US we can expect good durability and additional features, at the price of Php12,995. Although its a little expensive we can expect a great deal of specs and much better make than cheap brands. The previous android phone of O Plus is 8.12 which is just in dual core processor, O+ 8.15 will double its speed to 1.2Ghz Quadcore processor. RAM is still the same to 1GB, and running on the latest android software Jelly Bean 4.2.1, the air shuffle technology will still be featured in this new phone, making it more user friendly. And guess what, the glass of O+ 8.15 is not just any ordinary glass, covered with 5-inch HD IPS Dragontrail Glass display, you'll surely enjoy full HD experience, not only that it has an 8 Megapixel back camera with led flash BSI autofocus, it also has 2MP front camera, that's 2MP! And finally the Dual Sim Dual Standby mode, of all those great specs and build its really worth the cost @ Php12,995 Suggested retail price in the stores today. 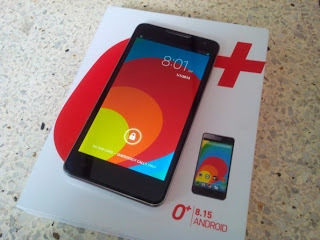 With great specs, USA made mobile phone, plus quality build I personally recommend O+ 8.15 Android phone, its not like I'm doing this for the O Plus company, its just a bloggers job to share great things in the internet. 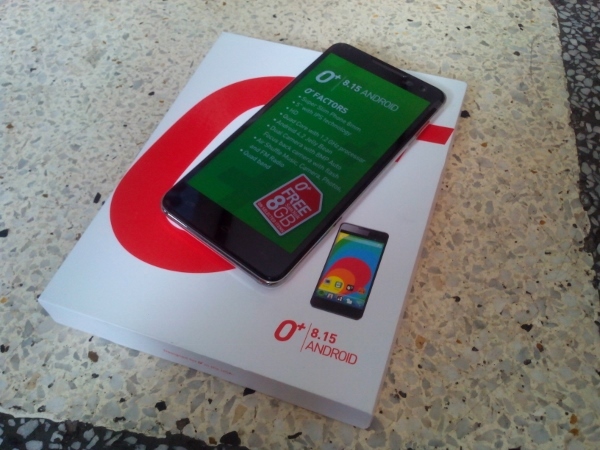 P.S It comes with a free 8GB Micro SDcard (San Disk), be sure to get that one when purchasing this new phone. O plus 8.15 is priced at P12,995 and available now in the Philippines nationwide. I just want to know if this is open line and can be used in the Middle East? Yes its openline, hence you can use any network. I have o+ 8.52, and im having a hard time connecting to my wifi even in other places, and as i read other review, others also experiencing it. Im just curious is O= 8.15 jave the same issue? bec Im planning to buy one. No. My 8.15 picked up better wifi signals than my Galaxy S Captivate. Although the latter is somewhat outdated, I really appreciate how this phone did better in that aspect. I had my O+ 8.52 for few months, and its specs are above what I paid for, however Im having a hard time connecting to my wifi, even in other places. I remember i read a post that same people experiencing what Im experiencing right now, so im curious if this 8.15 also have the same issue, bec im planning to buy this phone. Never heard that issue with 8.15. They did some upgrade though, maybe this time, they have fixed the issue. Some vendor will not follow the SRP, so expect a few price increase. It's better to purchase at O+ store, kasi SRP talaga sinusunod dun. will this 8.15 o+ works in the middle east? What is the disadvantage of 0+8.15 in iPhone 4 to 5??????????? I refuse to compare this to Iphone. 1st of all, it runs on Android while the Iphone runs on IOS. Therefore it will be comparing apples to oranges. Hardware-wise, this phone is worth every cent. However its Firmware is not upgradable to 4.3 or to 4.4 Kit Kat. I just wanna ask if there is a root, custom kernel/rom on it? Does it runs HD games like Dungeon Hunter 4, GTA 3 and Vice City, Gangstar Rio and Vegas, Modern War 4? Pero may posibilidad bang bumaba presyo nito?
) what do you think is the problem? but whenever i will go to the settings the phone can read the card but the apps are crashing even the screenshots. May nabasa ako na Hindi daw mapalitan Ang message alert tone ng 8.15.to too ba yun? :-? Not true..you can change the sms alert tone and ringtone..
magkano na latest price nito ngayon`? Got this phone last December and its worth it! Elegant appearance, great performance, quality pictures, and i love the OTG functionality. Even without root or tweaks, this device is on par with other branded phones. Battery life is decent, could last for a day or two, depends on your usage. All in all, I'm happy about it, no issues so far.